There is a time when panic is the appropriate response!! Came across an obituary of Eugene Kleiner while browsing. He is the K in the famous VC KPCB. 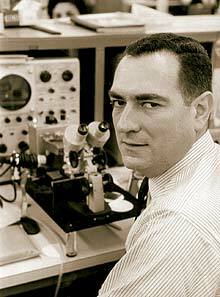 Eugene Kleiner was a part of the “traitorous eight”, who left their jobs at Shockley Labs and co-founded Fairchild Semiconductors. Eugene played a major role in attracting initial venture into the project. After the success of Fairchild Semiconductors, Eugene turned into a venture capitalist himself. What really inspires me about Eugene is the fact that he played all three parts necessary in a successful technology company, viz. the inventor, the entrepreneur and later on the venture capitalist.